Learn how to prepare simple, fresh, refreshing corn and mango salad recipe. 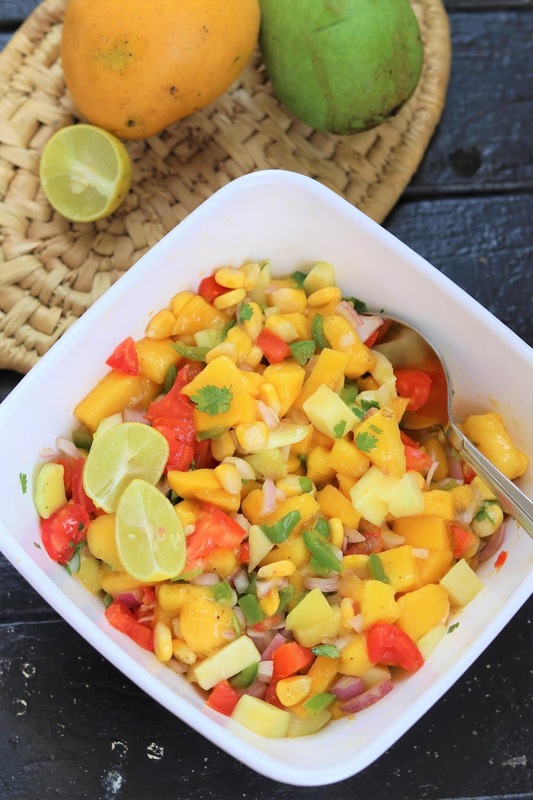 Mango and corn salsa is best summer salad or can be served as a side dish with tortillas, Nachos, or chips. 1. Microwave corns for 1 min and cool down completely. 2. Add in all the ingredients in a bowl and toss well. 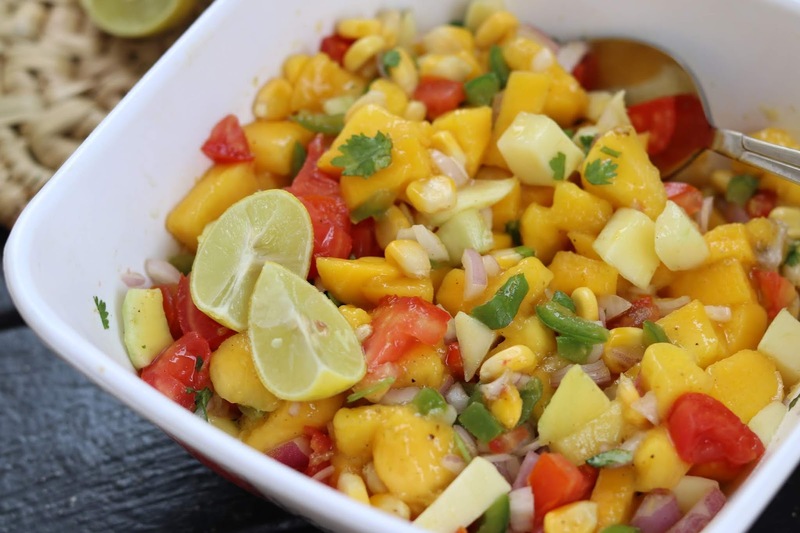 Serve immediately with chips, nachos or tortillas or even just a salad.